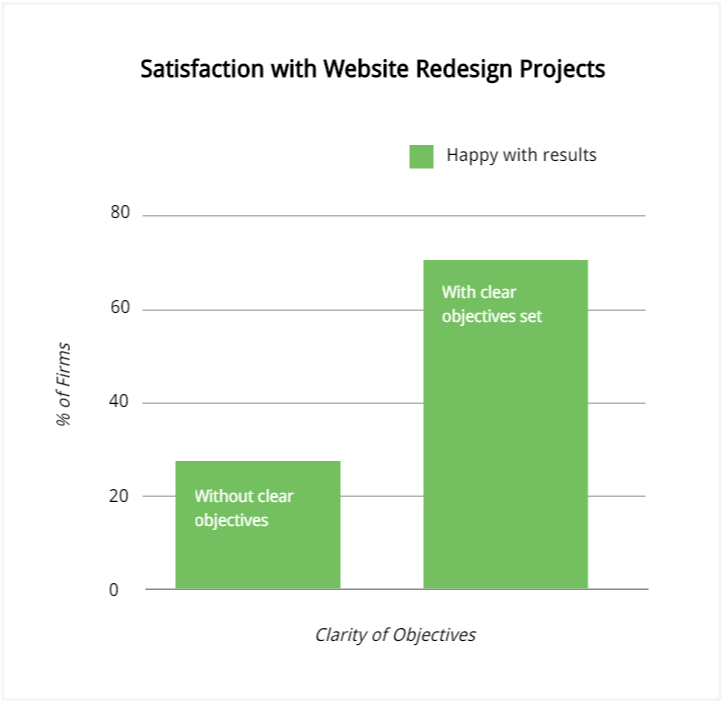 Invest one hour of your time and walk away with a plan that ties your website redesign project to your business goals, budget, and expected ROI. If there’s an opportunity to save you money and increase your ROI, you’ll find it here. And if you need buy-in from your team, this step gives you all of the information you need to get it. Business goals vs. website performance needs: Specify how many website visitors, leads, and sales your website needs to generate to match or exceed your expected ROI. Customer-Centric grade: Get a grade that tells you how well your site is performing as a salesperson. Your grade is based on criteria derived from hundreds of successful web-design projects. Lead gen assessment: Find out if you’re generating enough high-quality leads to achieve your business goals and where you can make improvements. Budget recommendations: Set a budget that’s in line with your expected ROI. Don’t fall into the trap of being under-quoted by an agency -- save money by knowing what you’ll need to invest before a project starts. ROI simulations: Simulate your website’s performance based on different traffic, conversion rate, and sales projections. Simulations are based on your industry’s benchmarks and our previous projects. High-level technical assessment: Avoid unexpected technical development issues to keep your project within budget and on time. Know what you need to consider before you start. Continuous improvement maturity: See whether your website is setup to generate more leads and sales over time or deteriorate like most websites do. Approach recommendation:Get expert help to determine whether you should launch a new website in one step or release your site in multiple phases. You’ll know the impact on budget, timelines, and ROI. Putting your business goals in black & white before your website redesign specs is just smart... highly recommended." 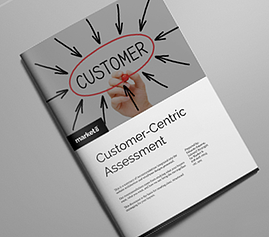 Who can benefit from a Customer-Centric Assessment? Executives and marketers that need numbers and case studies to get buy-in from their team. Businesses that are putting together a website redesign RFP. Companies that do $10MM+ in annual revenue, or companies entering a high-growth phase. NOTE: Because this is more of a business conversation, it is highly recommended to have some members of your senior management team involved. This is not your typical web designer conversation around “user experience” or “appealing colors.” It’s about your business goals. Market 8 is recognized as one of the top website design agencies within HubSpot’s global community. Founded by Sandra Ghaoui and Eduardo Esparza in 2008, Market 8 has grown by over 40% each year since its inception. HubSpot works with over 1,000 marketing agencies that resell and use HubSpot. 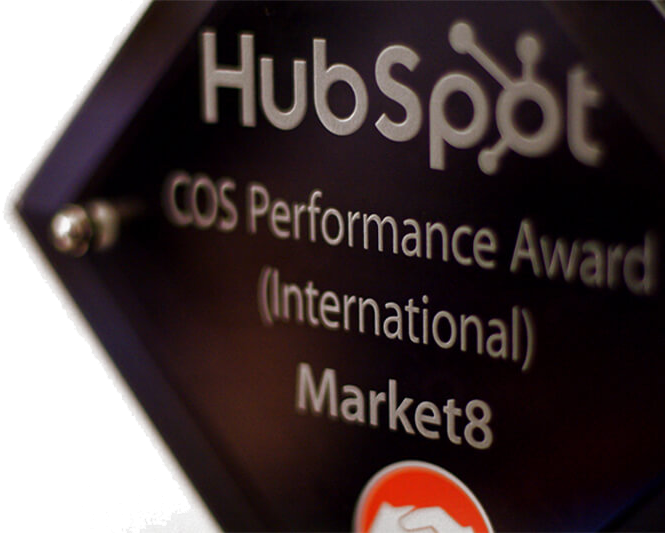 Of those 1,000+ agencies, Market 8 was the sole-recipient of the HubSpot COS Performance Award (International) - an award that recognizes the agency that creates websites with the highest Marketing Grader score.